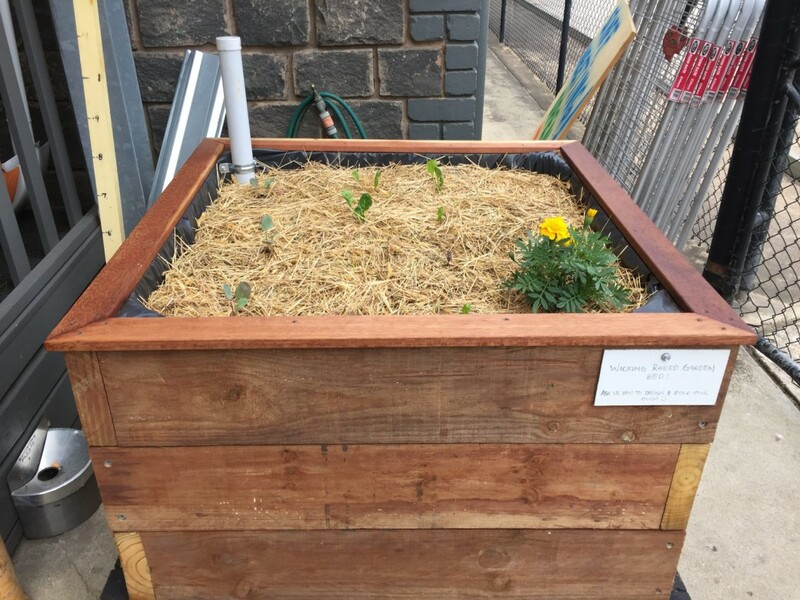 We’ve noticed a spike in interest from customers wanting to build their own wicking garden bed so we thought we would build our own DIY timber wicking garden bed exclusively from material already available at North Geelong Timber Supplies. A DIY timber wicking garden bed is actually quite simple to build and the reward is a veggie patch that will need minimal watering thanks to the Plant’s natural ability to draw water up into their roots via a phenomena called capillary action. By putting a hidden reservoir below the soil you can get water under the soil where it’s available to be drawn up by the roots as required. We built our beds out of Sienna sleepers. You can also build them out of treated pine. If you have any questions about building your own timber wicking garden bed please feel free to give us a call or drop in and chat to one of the team members.